These stylish glass award trophies are perfect for corporate awards or achievement awards for any field or discipline. Crafted in flawless optical crystal, they feature a clear glass plaque with overlapping bevelled edges and topped with a blue peak. The plaque offers a large area for engraving and is mounted on a bevelled blue glass base. 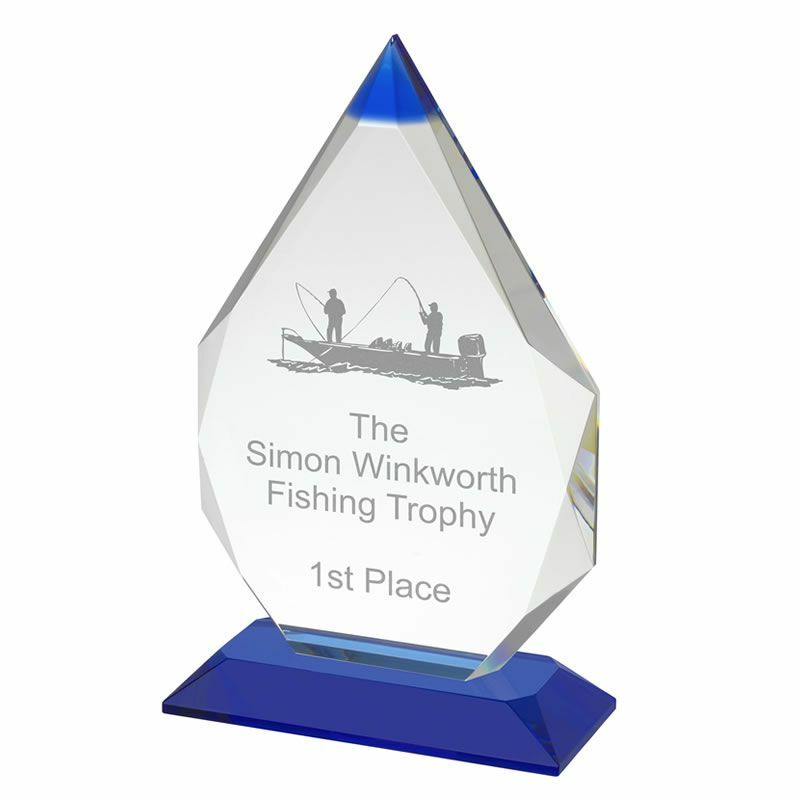 Offered in three sizes, these quality awards are supplied complete with a presentation box.